I finally got Got Dots off of the long arm. There is still a bit of work to be done on it. I decided that the straight “in the ditch” quilting lines would be easier on my home machine and I have to tie off a bunch of stray threads because of the way I eventually ended up doing the border. Oh, and I still have to decide on a color/fabric for the binding. I am one seam away from finishing the center of In Tribute to Maryellen Hopkins. Then, I have to think about borders. Again. Les Filles des Mares, Civil War Sesquicentennial, and an unnamed Stairway/Road to California all need borders but were stopped because I couldn’t think of what kind and how wide. 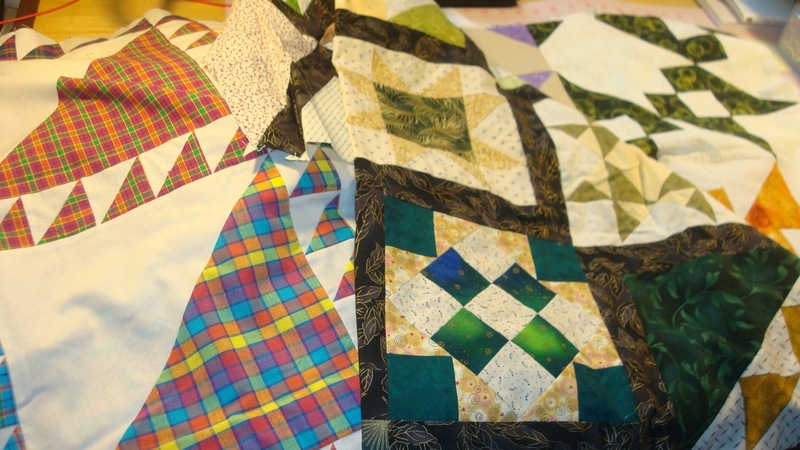 It turns out that I have several quilts which have been stopped at the borders, and so, for at least the next couple weeks, I’m going to holding a “Borderpaloosa” for myself, which means that I will be getting out my quilts lacking borders and trying to decide what to do with them: pieced or solid, which colors, etc. I think I’ll put up a new board on Pinterest for my Borderpalooza ideas, and if you have any suggestions or directions, please let me know. 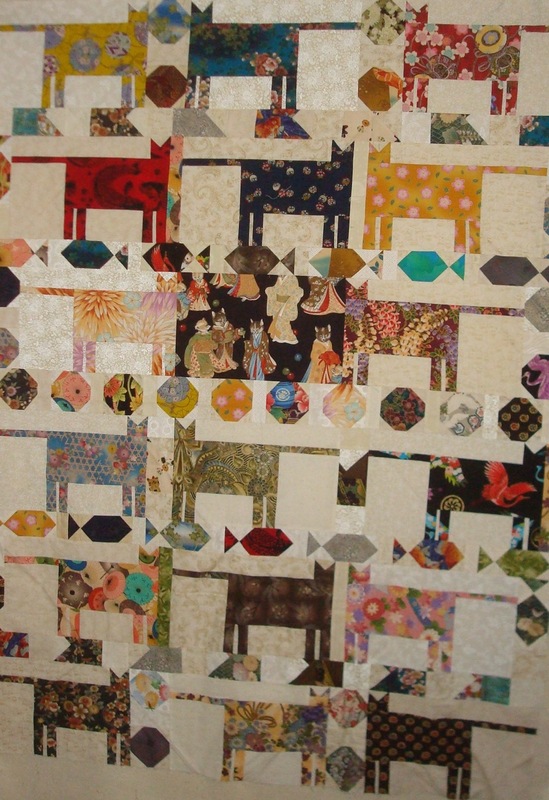 Japanese Cats is based on a cat quilt I made long ago from a pattern. I got a long time ago. First up in the Borderpalooza will probably be Japanese Cats. The cats themselves come from an old pattern named “No Ordinary Cats” which I must have bought in the mid-1990s. I vaguely remember it was when my sister lived in Arkansas. My friend, Kris volunteers with them and they have lots of cute things in their kitty store. 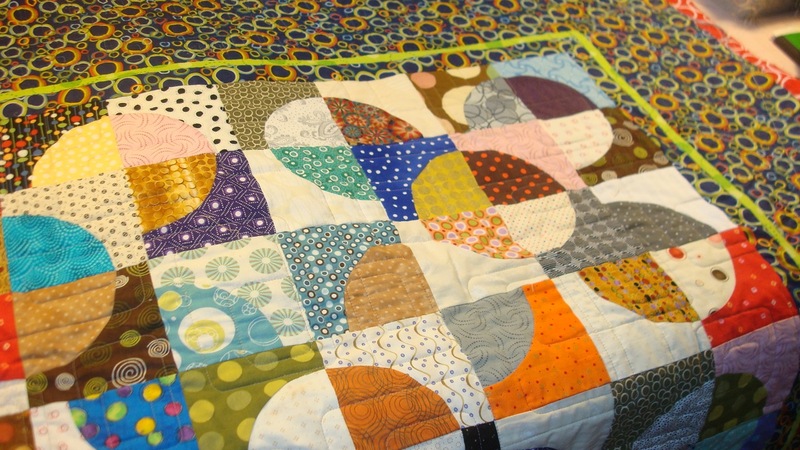 This weekend is my Guild’s Quilt Show. We have one every other year and this one threatens to be seriously awesome. As you can see, something for everyone and everything in between. If you’re in northeast/north central Mass., come one by!